JUN 13, 2017 — Dear supporters, finally some good news on the medicinal Cannabis front with the Government’s disallowance of cannabis access to the terminally ill, (through the pathway set up to recognise the urgency of their end of life condition) overturned in the Senate. Sadly, the Health Minister immediately stated that the Government “will not accept this” and you can be sure that they will continue their scare campaign which mocks the terminally ill and would have us believe that they are just looking to import “suitcases” full of weed into the country for the fun of it. When will our Government recognise that the Therapeutic Goods Administration (TGA) is looking after the interests of the pharmaceutical industry which will clearly loose “customers” when “patients” are able to legally swap their expensive pharmaceuticals for a medicine which many patients describe as empowering and miraculous? That was certainly Dan’s experience and one which is repeated with astonishing regularity in every country around the globe. The UIC 2017 Medicinal Cannabis Symposium is now just over a week away. The TGA has pulled out after an earlier commitment to come and give and update and be available for questions (and there are many!) but the event will go on in. It really is time to get past the hysteria of the reefer madness campaign and accept the science that is emerging around the world. We owe this to our loved ones who continue to suffer more than they should. This is about facts, science, research, and compassion. It is time to stop ignoring the elephant in the room. Minister Hunt you need to understand that the harder you make it for patients to access the medicine of their choice, the more people you keep in harm’s way, getting medicine on the black market and without the care and support of the health system. 2. 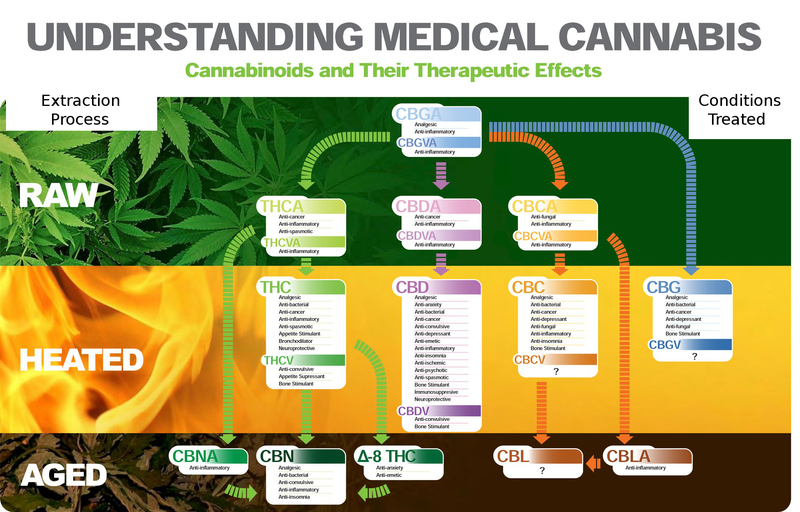 Australian Medical Cannabis Signpost: Medical Cannabis: Where Do The Doctors Stand? More doctors support or turn a blind eye to their patients use of medical cannabis than are opposed to it, a recent research project suggests. In a survey of over 150 GPs and other medical practitioners – believed the largest of its kind yet undertaken – over fifth (22%) said they were fully behind those in their care who told them they were using the drug for medical reasons. A further fifth (21%) indicated they were happy to turn a blind eye. 38% said they were opposed to their patients using pot. The informal research [download report here] was carried out by the Medical Cannabis Users Association (MCUA) between November 2016 and the present. The group has over 14,000 members nationwide and campaigns for better access to the drug after the Government introduced regulations in 2016 that, they say, have made it all but impossible to obtain. It encouraged members to to ask their GPs and other specialists what they felt about prescribing it for a variety of conditions. According to very quick analysis undertaken by this website, while a significant number of doctors actively encouraged their patients’ cannabis use, a further fifth (20%) said the paperwork involved in obtaining it was too difficult, or regulatory problems prevented them from doing so. Only 8% claimed they didn’t have enough information to hold any opinion at all. MCUA President Gail Hester said the findings were ‘encouraging’ but that there was still a long way to go in educating heathcare practitioners about the plant and its medical benefits. Others she said, just needed more information. Release of the document is timely, coming as it does just one day prior to the first Medical Cannabis Course which takes place tomorrow (22nd June) in Melbourne. Put together by United in Compassion’s Dr David Caldicott the event is believed to have sold well, with dozens of medics expected. 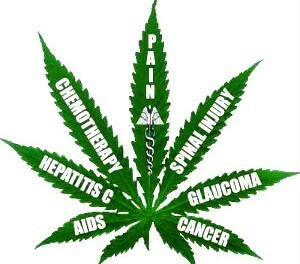 If both the MCUA research and interest in the UIC course are indicative, medical cannabis might be getting on a roll. iCAN: Israel-Cannabis (iCAN), a leading Israeli developer of medical cannabis formulations, clinical trials and cannabis testing, has formed a joint venture with LeafCann Research and Advisory, a leader in the development of cannabis medications, clinical research and education, based in Melbourne, Australia. The new venture, iCAN: Australia, will collaborate on a range of initiatives including medicinal cannabis research, education, acceleration, and innovation. This joint venture is a significant step in the collaborative efforts between Israel and Australia in this field, combining Israel’s role as the world’s medical cannabis R&D powerhouse with Australia’s newly eased access regulations for patients in need. “We are thrilled to partner with LeafCann to form iCAN: Australia. Our collaboration will bring world-class cannabis products to the Australian market as well as accelerate our collaborative research and development of new products for a range of indications,” said Saul Kaye, CEO of iCAN: Israel-Cannabis. The burgeoning global medical cannabis industry is estimated to reach $50 billion by 2025. “This agreement paves the way for significant investment in clinical research to support the development of evidence based cannabis medicines for patients most in need. In addition iCAN: Australia will develop global clinical education initiatives to bridge the gap between public demand and practitioner education. We are also excited to be part of iCAN’s global acceleration program to develop a professional, ethical and sustainable medicinal cannabis sector worldwide,” said LeafCann Group CEO, Dr Jaroslav Boublik B.Sc. (Hons) Ph.D. (Med), MRACI, C.Chem. AACNEM, MICRS. LeafCann’s practitioner education program will be incorporated into iCAN’s product offerings and distributed via iCAN’s global reach. In addition, iCAN:Australia will take a significant interest in CannaTech Australia, the country’s first major Medical Cannabis Summit modeled after the highly successful CannaTech Israel Summits. The first CannaTech Australia conference will take place in Sydney in 2018.
iCAN: Israel-Cannabis is a leading Israeli developer of cannabis based formulations, clinical trials and cannabis testing. iCAN is committed to accelerate Israel’s CannaTechnology industry, capitalizing on Israeli innovation and a leading cannabis regulatory environment to bring premier products to market. iCAN is powered by CannaTech, the premier international cannabis summit held annually in Tel Aviv and for the first time outside of Israel on October 25th and 26th in London, England. LeafCann Research and Advisory is a wholly owned subsidiary of LeafCann Group Pty Ltd. LeafCann Research and Advisory is a leading Australian developer of clinical research, product development, education and Industry advice to a range of Australian and international partners. LeafCann Group has positioned itself as Australia’s preeminent Medicinal Cannabis think tank. With strong strategic partnerships, a diverse team and significant investment in medicinal cannabis production in Australia, LeafCann Group is well positioned as a global leader.